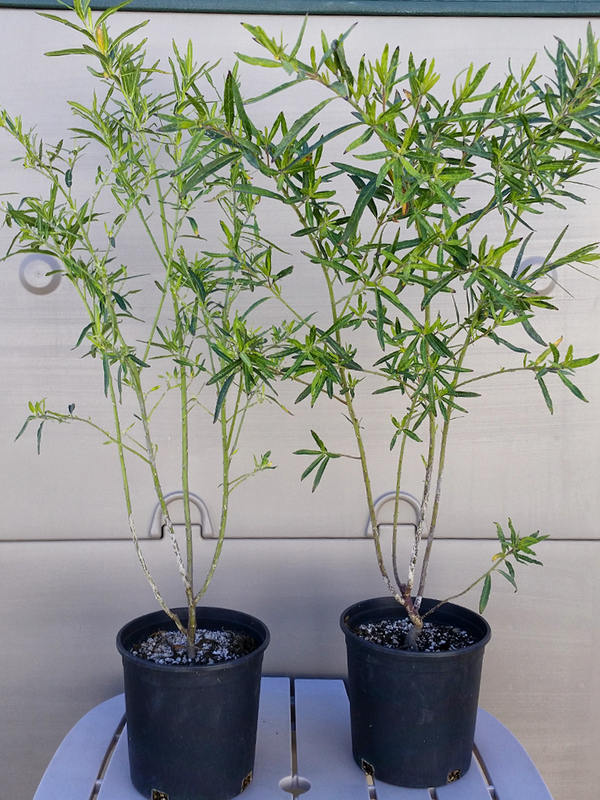 'Tis the season for the annual ritual of pruning back tropical and exotic perennial milkweed plants to mere sticks. Gadzooks, that sounds extreme! Yup. It is, but beneficial. And the consensus among those in the know are starting to lean strongly towards it being the right thing to do for our Monarch butterflies. 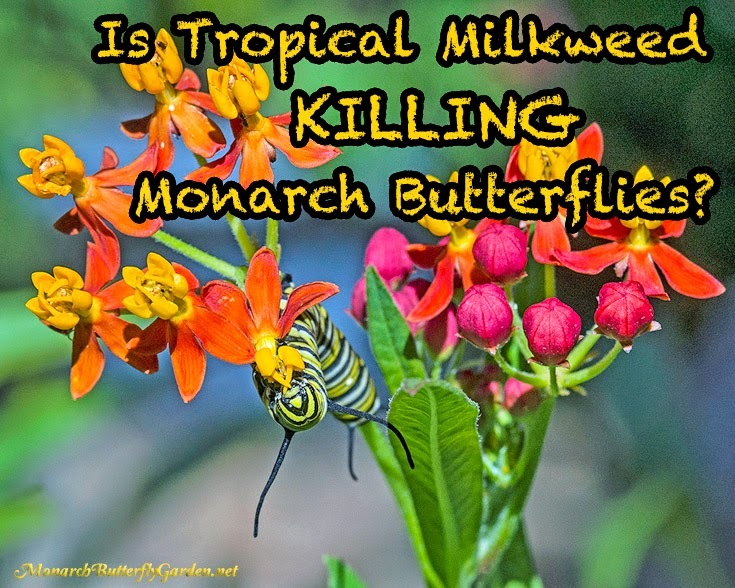 *For those of you who grow Tropical Milkweed or are planning to do so and normally skim through the newsletters, PLEASE take the time to read this post thoroughly. ¡Es muy importante por Monarch butterfly health! 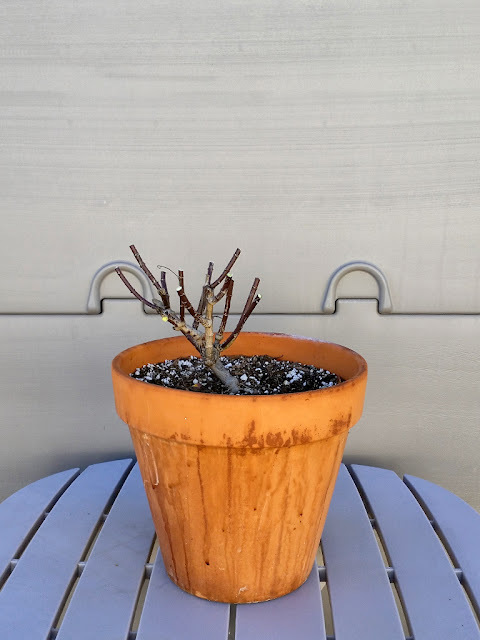 Before we get into pruning, let's inform ourselves why we should. It's increasingly becoming clear that pruning perennial milkweed species in mild winter areas where Monarch butterflies live (especially along coastal overwintering site zones) is imperative to their long term health and population viability. For those that are new to the newsletter within the last year, the question is: "Why?" Answer: Ophryocystis elektroscirrha, Oe for short. Oe is a parasitic disease affecting Monarch butterflies, which is exacerbated by perennial milkweed plants surviving winter's cold. I don't expect everyone to follow all of the links below, but take for face value the need to prune back exotic perennial milkweeds. 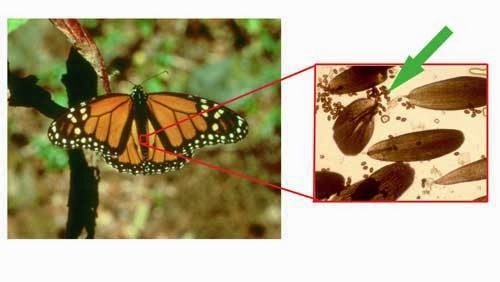 Continuing on the subject of Oe spores from the previous post, an article by the Monarch joint Venture, titled Q&A about research related to tropical milkweed and monarch parasites gives us more information on the disease, some of the latest research findings, and some tips on how to mitigate the unintentional support and spread of the spores to local Monarch butterfly populations from our well intentioned gardening actions. Microscope photo detailing Oe spores found on the body of an adult male butterfly. Oe infestations are mostly identified with regions of the U.S. where Mexican Milkweed overwinters, meaning, it doesn't die back or go dormant. 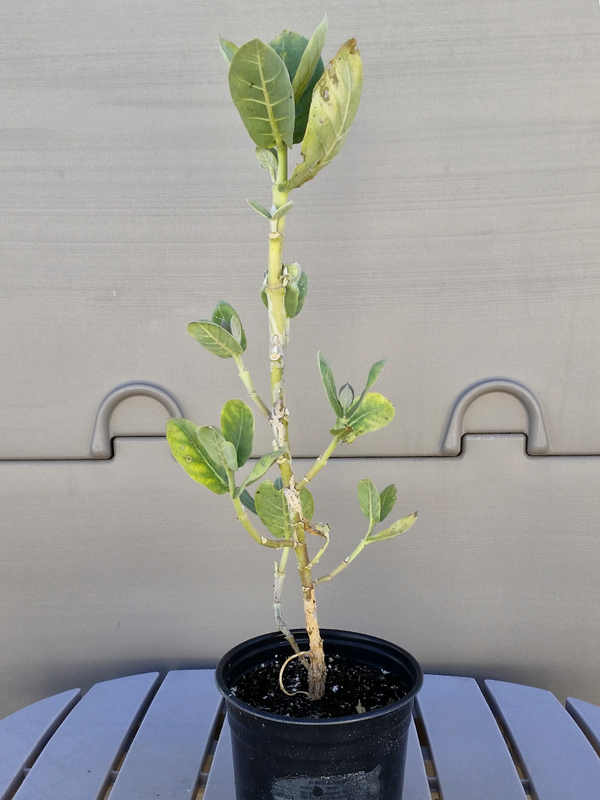 Hotspots for Oe are found on the west coast strain of Monarchs, and the Florida nonmigratory race that has come into existence due to the large amount of perennial milkweeds now growing there. What is OE? gives a good description of this parasite and why it is so prevalent on the west coast and Florida. 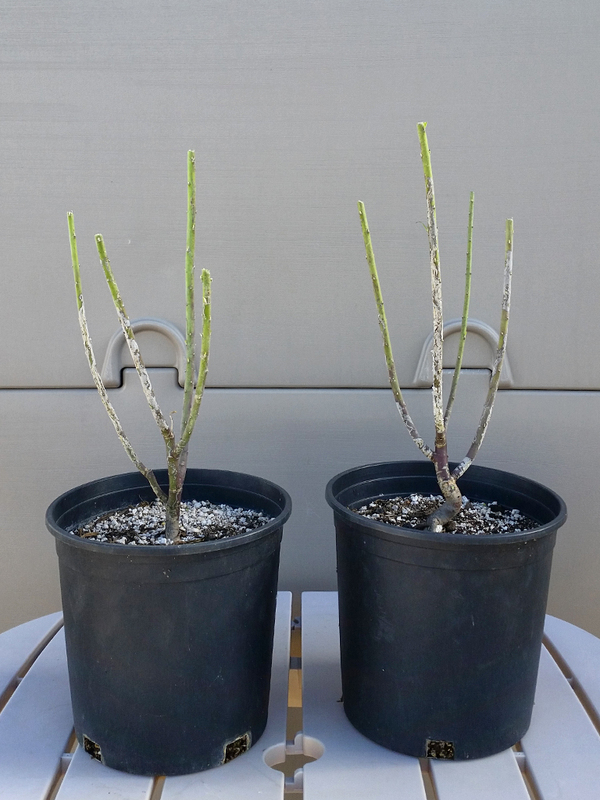 Cutting back Asclepias curassavica helps to severely curtail or eliminate Oe spores from overwintering on the leaves of Mexican Milkweed. If one has A. currasavica planted in their gardens, be it in the ground or in containers, it would be advisable to trim them way down soon so as not to propagate next season's Oe spores, and will also stimulate adult butterflies to traditionally migrate to their ancestral overwintering sites like God originally intended. I will cut mine back around the beginning of December; that will give any adult Monarch stragglers enough time to pack it up and head to their nearest overwintering grounds. 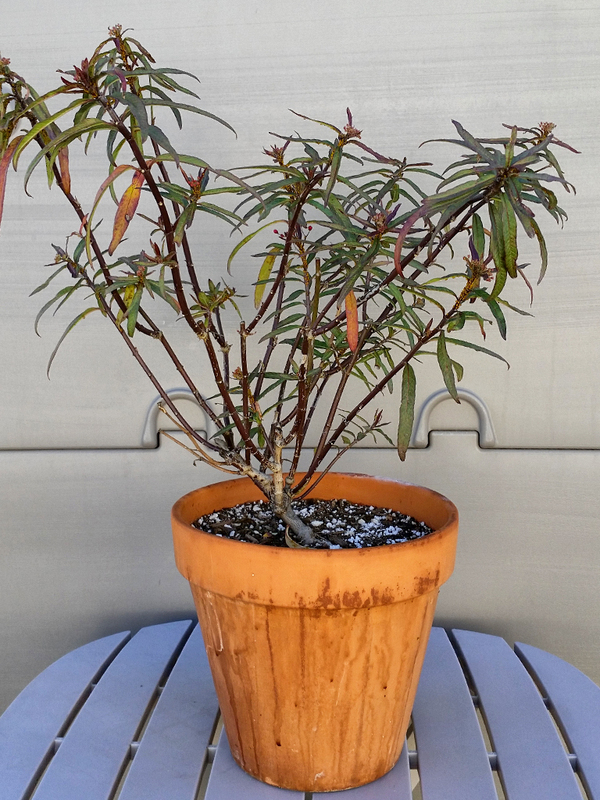 Let's move on to actually cutting back exotic, perennial milkweeds. The Container Butterfly Garden is home to three nonnative perennial species of milkweed; one from the American tropics, the other two from Africa and Asia. Because of the threat of Oe spore infestation, I will hopefully, over time, replace most of them with native or deciduous milkweed species. I'll keep some Tropical Milkweed (Asclepias curassivica) around to feed any Monarch cats I may put in my cat nursery, as it grows fast and can be kept small in order to place inside the mesh enclosure. 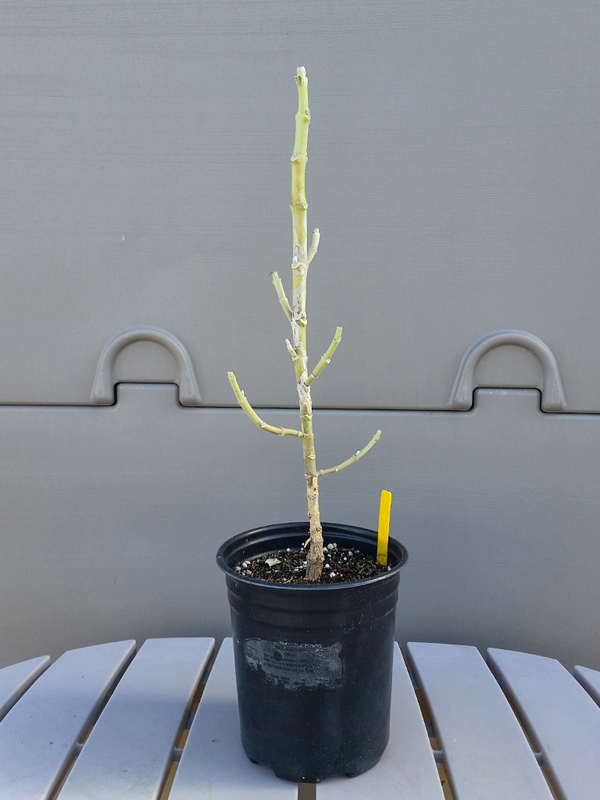 Besides the threat of Oe, watering requirements for native plants are reduced vs. thirstier exotics. All foliage was cut off to eliminate Oe spore infection, and to discourage Monarchs from lingering and not migrating to overwintering sites along the coast as they normally should. Another side benefit to hard pruning is that your plants will come out thicker and bushier the following season! Two main native milkweed species I'll assess in containers are Showy Milkweed, Asclepias speciosa and Narrowleaf Milkweed, Asclepias fascicularis. I'll be purchasing seed soon and keep you posted on how they fare in containers. In the ground, they grow superbly with reduced water needs. There is one of each growing in the garden at this time; dying back to the ground, having gone dormant. Only springtime will tell if they pop back up to resume growing.